Well, the prestidigitation seems to have gone well (see the previous bloggage). I had a wonderful time, but more importantly those for whom I was performing seem to have enjoyed themselves and I think I left them wanting more. I had some very kind and encouraging comments afterwards. A couple of things occurred to me from what happened, and I will share my reflections here. 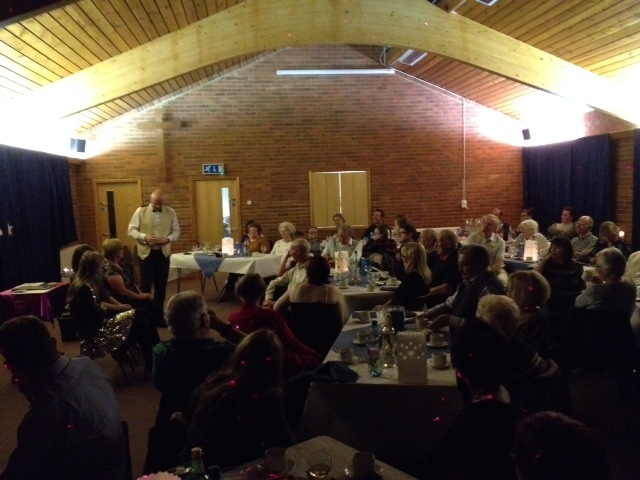 The first relates to the Magic and Curry night in South Woodham Evangelical Church. It was clear from the moment that I arrived that a considerable amount of effort had gone into preparing for the evening. The interior of the church had been transformed with drapes, stars, candles and oscillating laser lights. Tables had been laid out beautifully and there was a wonderful smell of curry wafting in from the kitchen. The work was worth it, the venue was brilliant and everyone who came felt relaxed and comfortable. And the curry tasted wonderful and there was plenty of it so everyone was satisfied. So how much effort do we go to in order to make people comfortable and relaxed when the come to church (on a Sunday or at any other time of the week)? How do we represent Jesus’ welcome by the notices we have on the boards (all covered up by drapes on Friday), the atmosphere we create (physical and emotional), and even the fragrance of the place (curry beats musty every time!)? At the fundraiser event for International Justice Mission I was doing walk-around magic and the plan was for me to do this at different times in the evening. Towards the end of the evening the DJ (for there was one) cranked up the volume to enable people to dance. It became very obvious very quickly that I was not going to be able to continue to do magic for people because they could not hear me unless I shouted and that was not very engaging (plus I needed to preserve my voice to preach the next day). So I finished at that point in the evening rather than persevere. People had seen magic: now they had an opportunity to dance. I could have asked for the DJ to turn down the volume, but that seemed unnecessary and unfair. I didn’t need to impose myself on the evening – it wasn’t about me. And that way I could leave them wanting more. Do we impose our preferences on others without considering how others think or feel? Do we sometimes persevere with something when its time is up? Are we sometimes trying to shout above the noise around us to make ourselves heard when it’s actually time to make a graceful exit?